Does this signal the end of the false flag attacks in Syria or have these regime change agents just outrun their usefulness? Note, this is coming right after Trump’s talks with Putin where it appears they promised Israel they’d contain Iran’s influence in Syria. 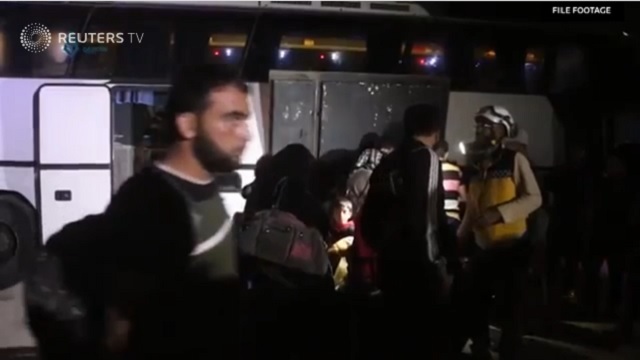 JERUSALEM/AMMAN (Reuters) – Hundreds of Syrian “White Helmet” rescue workers and their families fled advancing government forces and slipped over the border into Jordan overnight with the help of Israeli soldiers and Western powers, officials said. Israeli Prime Minister Benjamin Netanyahu said in a brief video statement on Sunday he had helped the evacuation at the request of U.S. President Donald Trump and other leaders – and there had been fears that the workers’ lives were at risk. The White Helmets were created and funded by Western governments and exploited as an arm of soft power to spread regime change propaganda.